The market is still very hot! My listing above at 356-358 Douglass, which is a three unit property that includes a cottage at 24 Seward, went into contract last Friday after multiple offers. 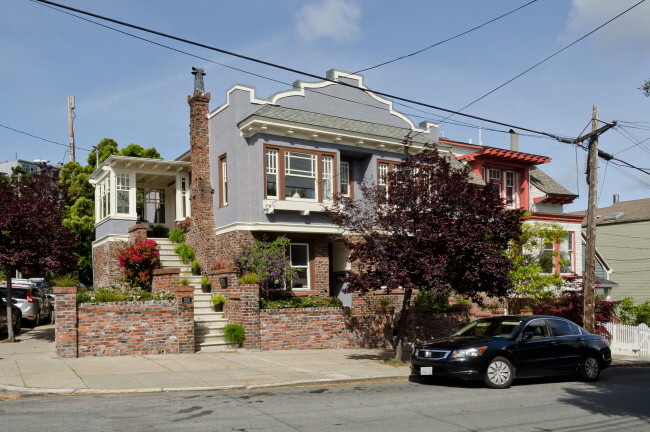 It’s a well maintained and beautifully updated Eureka Valley residential property. I had hundreds of people through each weekend open house – I’m still getting calls from the unlucky buyers who missed it. If you are a buyer these days, you need to be prepared to move fast. That means not only having the standard preapproval from a mortgage broker but being approved by the bank’s underwriter. It means having a pre-inspection when the sellers have done no inspections so that you have an offer without an inspection contingency. Working with an agent who makes sure you do all the right things will improve your chances of prevailing. Don’t hesitate to contact me if you need assistance in this tricky market, or even if you are not yet ready to buy or sell and just want to ask some questions. Previous: They Got Into the SF Market! Next: Why wait to sell in a hot market?